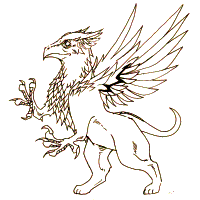 Isn’t a griffin a kind of dog? No wait, a mythological half-devil? A man eating dog? A dog eating…. For anyone who stuck around to watch Anderson Cooper and Kathy Griffin on CNN after the ball dropped on New Year’s Eve, they were rewarded (or punished) by being privy to the first live on-air curse of 2009.